Whatever the outcome of Brexit, the rights of the Madeiran communities in the United Kingdom and the British in Madeira will be “very well protected” in the future. It was the guarantee given by the United Kingdom ambassador, on the sidelines of a meeting he had with the President of the Regional Government, Miguel Albuquerque, in the Fifth Watch. According to Chris Santy, the future right to residence and access to public health and social services are among the main concerns of these communities, which they have sought to clarify with the competent authorities during their stay in the Region. In fact, these were the topics covered in a meeting held yesterday between the ambassador and 20 representatives of the United Kingdom in Madeira. Recognizing that in recent years there has been a decrease in the British tourism market for Madeira and Portugal, Chris Santy pointed to the fall in the value of the pound and the outbreak of other attractive markets, as determining factors, underlining that it is still too early to calculate the impact of Brexit on this matter. 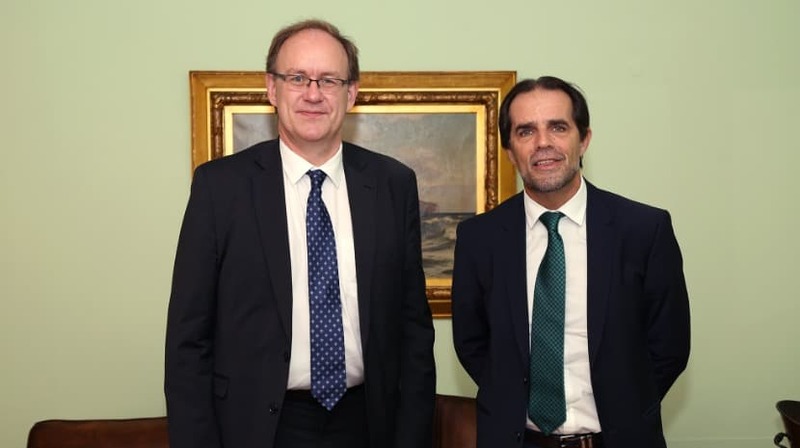 Clarifying that Brexit will end the free movement of people in the context of the European Union, the ambassador believes that in the future there will be no opportunities for all the people of Madeira who want to work and study in the UK.